The production will open at Wyndham’s Theatre on 28 March with previews from 17 March 2017. It will complete its strictly limited eleven week run on 10 June 2017. Direction is by Patrick Marber with set and costume designs by Anne Fleischle (who won the Olivier Award for Hangmen at the same venue) with sound and music by Adam Cork. Further casting will be announced at a later date. 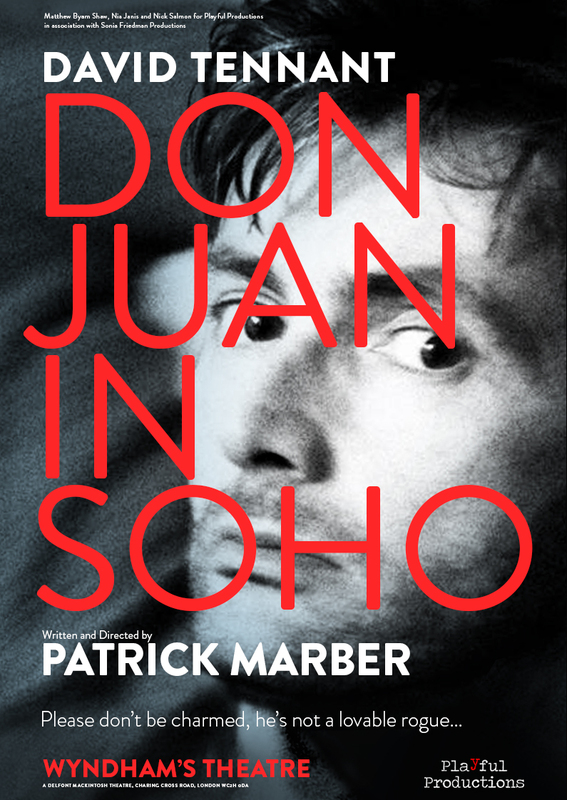 “Please don’t be charmed, he’s not a lovable rogue…” Loosely based on Molière’s tragicomedy Don Juan, this savagely funny and filthy modern update transports the action to contemporary London and follows the final adventures of its debauched protagonist – a cruel seducer who lives only for pleasure.